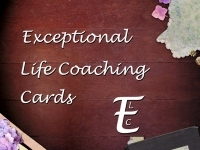 Online shopping for greeting cards that don't cost much money has never been easier! Shop for high quality cards now! Simple random acts of kindness possess the magical powers that can transform an ordinary day into an exceptional day! Thank you for taking the time to visit my store and share in my vision of how wonderful life can be when we pause long enough to hear what it is so desperately trying to tell us. Have an Awesome Day! My Interests: My interests include Life Coaching, traveling, photography, writing and motivational speaking. » Nurses Day is May 6, 2016! » Administrative Professionals Day is April 27, 2016! » Don't forget to let that special person know that you are thinking of them on their Birthday! » Love is doing all of the little things that make a big difference. Send a little Love, Joy and Happiness today! » Family and friends love receiving greeting cards! Send someone a special card today today and show them that you care. » Give your business marketing and advertising campaign a competetive edge by sending motivational and inspirational greeting cards to your employees and customers.